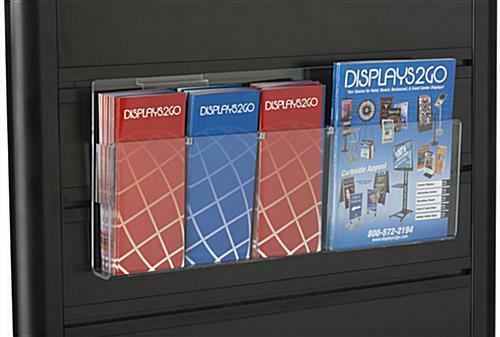 Slat wall Accessory - This attachable brochure rack is great for slat wall panel displays. 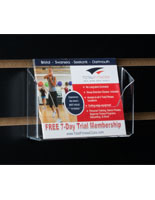 This accessory can hold either five 4" wide literature or (2) 8.5" wide and one 4" wide materials. 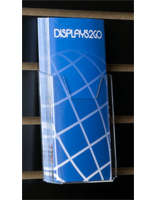 It can be attached directly to most slat wall displays without any other mounting hardware. 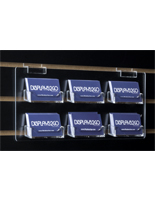 Clear acrylic construction ensures that your brochures are securly positioned onto the slat wall but customers of visitors will still be able to read the entire front of the brochure or catalog you choose to display. 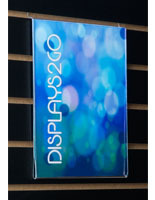 Use in conjunction with any of our sign holders to be even more informative. 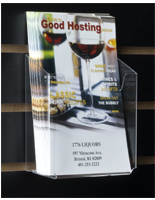 22.8" x 10.1" x 2.4"
These are great looking brochure holders! 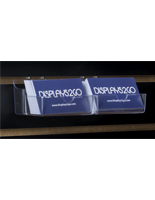 I display a lot of my customers' information and these work terrific! That's great to hear, Brian! 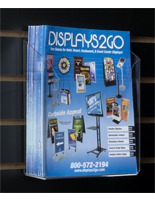 Thank you so much for the terrific review! 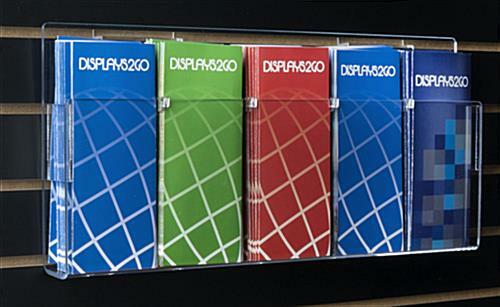 Beautiful display. 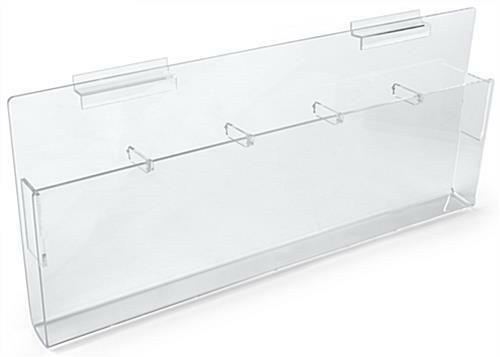 Worked exactly how we wanted. 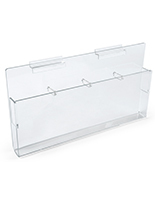 Taking the dividers out is difficult to do without breaking them or scratching the acrylic. 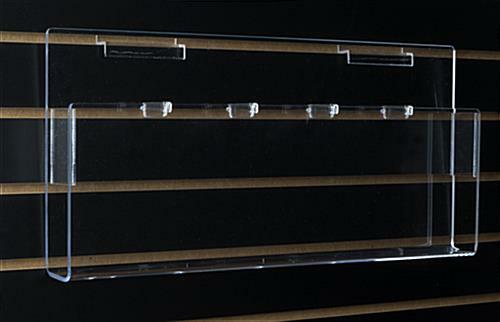 We didn't need the dividers so we just broke them to get them out. If we cared maybe we would have found a better way.